French is one of the most spoken languages in the world. Because people who work with France, Africa, Quebec and other countries need to communicate in French, we have designed a course specialized in Business French. The lessons are designed to match your needs, whether it's to get more familiar with the vocabulary in your industry or your position, or more globally if you would like to deal with current affairs through articles from the business news. 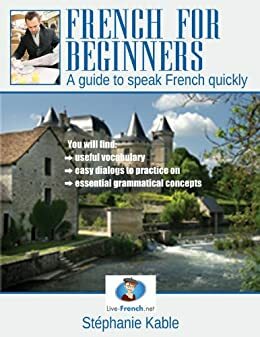 Live-French.net has developed a special online Business French course to make you feel more confident in any job-related topics. If you need to discuss complex business issues in French, make sure to register for this course. We know, as a business person, it's not always easy to devote time to improve your French. While taking our online French business course by Skype, you will be able to have short sessions (30 min) focused on the topics you need to progress. It's very efficient and effective. We give you the flexibility to schedule your lessons before leaving for work, at your lunch break or after work. You can even take lessons while you're on a business trip as long as you have a good Internet connection. As part of the French business course, we can prepare you for your next job interview in French. During the course, you will rehearse on the most popular interview questions. If your French skills are going to be tested, you want to show that you can talk about your career and other topics fluently in French.